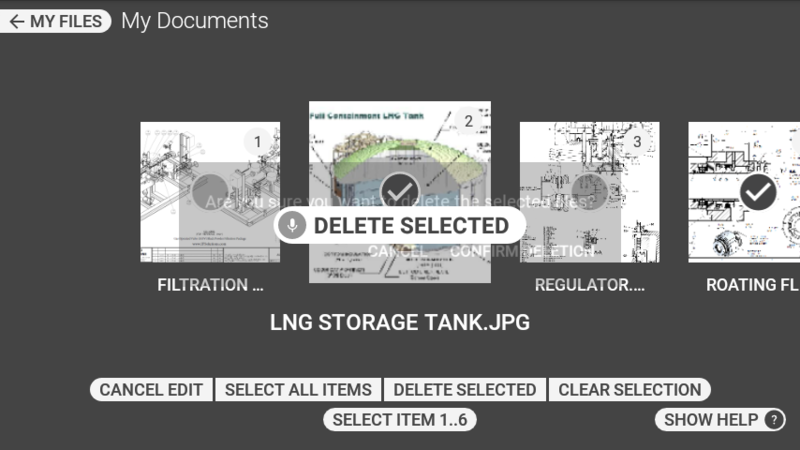 You can delete the files from My Media, My Documents or My Photos folders. 1.Go to the My Media/My Documents/My Photos folder. 3. Say “EDIT MODE”. 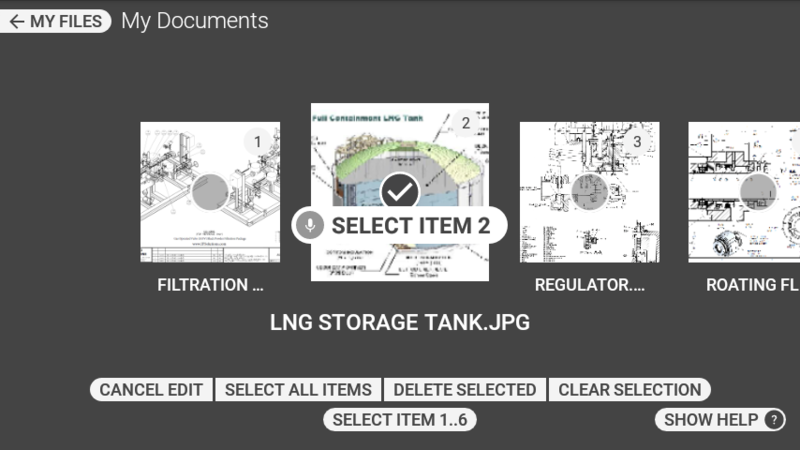 The Edit screen with option to select one or more files is displayed. 4. To select a specific file, you need to use the number assigned to it. 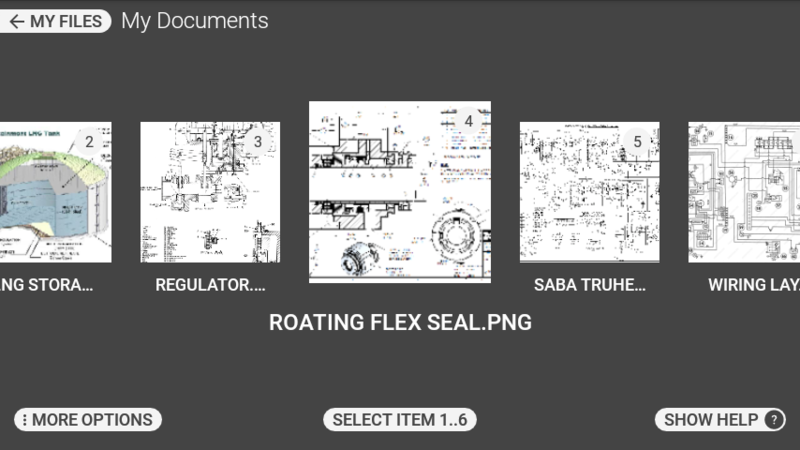 For example, you can say “SELECT ITEM 3”, to select the third file, or “SELECT ITEM 5”, to select the fifth file. 5. Repeat as needed to select multiple files. 6. 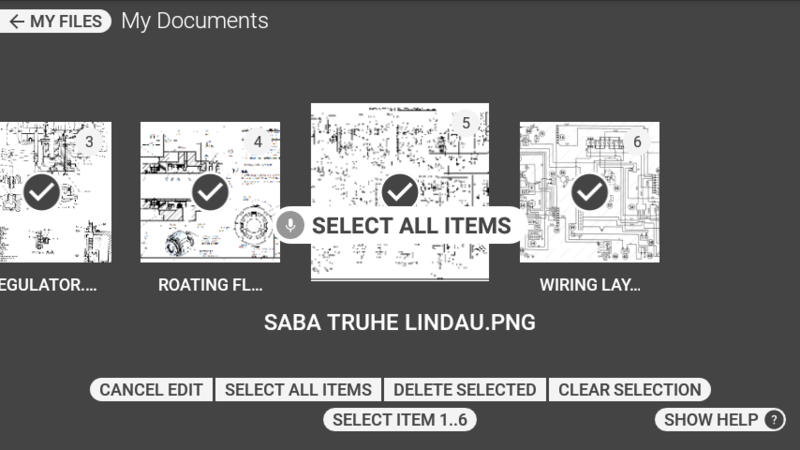 To select all files say “SELECT ALL ITEMS”. 7. 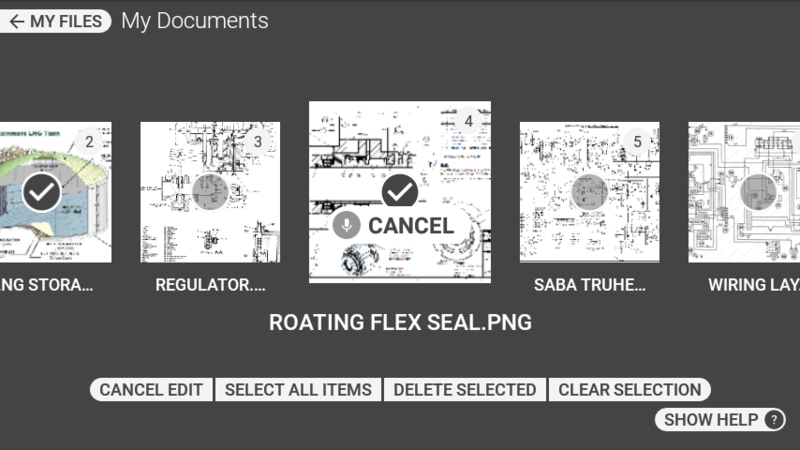 To delete the selected files, say “DELETE SELECTED” and “CONFIRM DELETION”. 8. 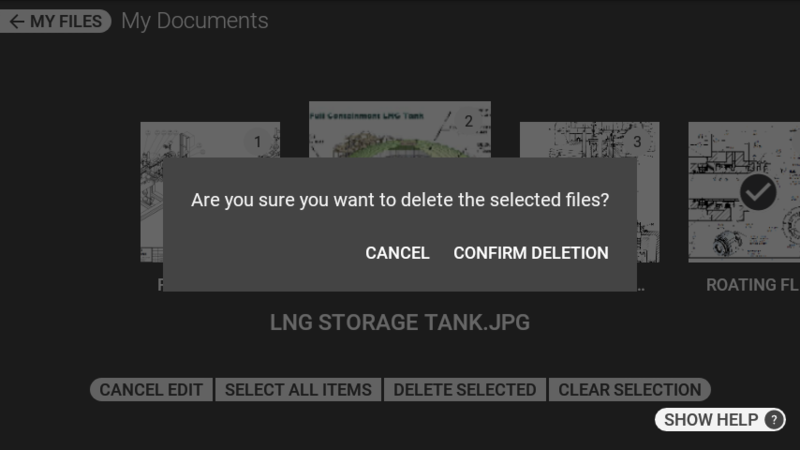 To cancel the delete and retain the files, say “CANCEL”. 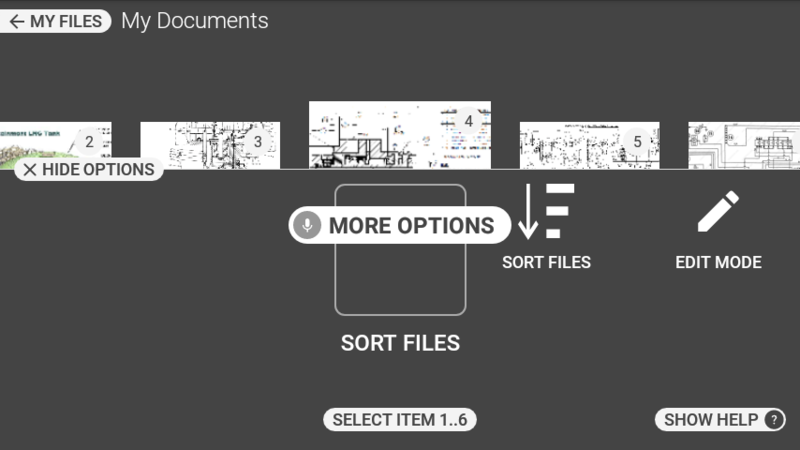 “SORT FILES” Open file sorting sub menu. 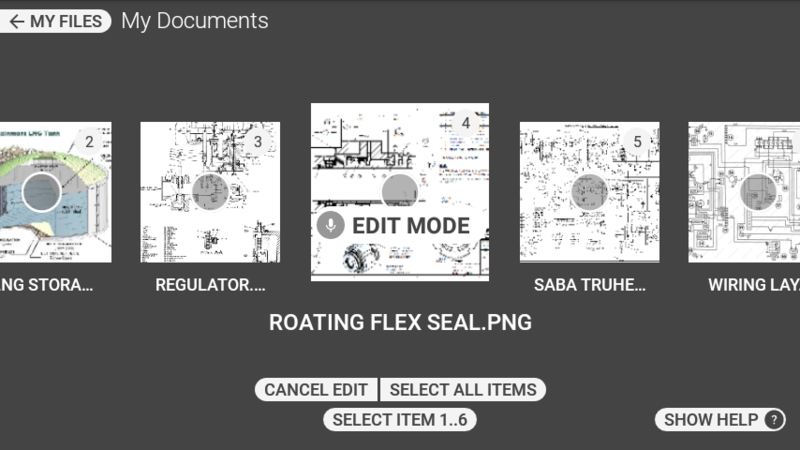 “EDIT MODE” Open file editing sub menu. “MORE OPTIONS” Open the Options panel. “SELECT ITEM 1”, “SELECT ITEM 2” … Select an item by number. “SELECT ALL ITEMS” Select all items. “DELETE SELECTED” Delete selected item. “CONFIRM DELETION” Confirm deletion of selected item.